Donghae passenger and car ferry ticket prices, timetables, ticket reservations and information for ferries sailing from Donghae to Sakaiminato and Vladivostok. Compare all available Donghae ferry ticket prices in real time and book the cheapest available Donghae car and passenger ferry tickets sailing to and from Donghae, Sakaiminato and Vladivostok with DBS Cruise Ferry ferries online with instant confirmation. Book Donghae Ferry Tickets with DBS Cruise Ferry for ferries sailing from Donghae to Sakaiminato and Vladivostok online in advance to enjoy the cheapest available ferry ticket price. The price you see is the price you pay. There are no hidden extras or surprises such as added fuel surcharges or booking fees and we do not charge you anything extra for paying with a Visa Electron card. The price we quote you for your selected Donghae passenger or car ferry ticket, onboard accommodation and vehicle type is all you will pay, and that's a promise. To obtain a Donghae ferry ticket price and book your ferry ticket securely online please use the real time ferry booking form on the left. You are also able to add a hotel at your destination, or anywhere else, to your ferry ticket when completing your ferry ticket reservation. Donghae is a coastal city in Gangwon, South Korea. The Port of Donghae is located on South Korea’s east central shores on the Sea of Japan in Gangwon Province. The Port of Donghae lies in mountainous terrain and is rich in natural resources, including some wonderful beaches. The Port of Donghae is a free industry zone and has seen much investment in the past years. There are two ports in the province, and Mukho Harbor is about six kilometers north-northeast of the Port of Donghae. Much of the traffic that used to go to Mukho now goes to the Port of Donghae, and Mukho is primarily a fishing port. Donghae serves as the main access point to Ulleungdo, with regular ferry service throughout the year (usually once or twice a day in each direction, more frequent in the summer.) Donghae also serves as the Korean stop in the ferry service between Vladivostok, Russia and Sakaiminato, Japan. Ferries leave from Mukho Port, a 5 minute drive north of downtown Donghae. Historic records document the presence of a town on the site of the modern Port of Donghae as early as the 17th Century. However, the city did not mature until the 20th Century. In 1979, the Port of Bukpyeong Harbor opened for business. The law establishing Donghae City was passed in 1980, and it incorporated nearby Mukho town. In 1981, the Port of Donghae established a sister-city relationship with Tsuruga, Japan. In 1986, the old Bukpyeong Harbor was renamed Donghae Harbor. In 1991, the Donghae Municipal Assembly was opened, and the mayor, elected by popular vote, was took office in 1995. In 1996, the third Conference on expansion of the East Sea Region was held in the Port of Donghae, with 12 cities from four countries attending. In 2001, the Donghae City Facility Management Corporation was established. The 44th Korea Folk Art Festival, with 20 provinces and cities participating, was opened in the Port of Donghae in 2003. In 2004, the Donghae Whale Fossil Museum was opened. In 2005, the Port of Donghae’s Bukpyong Industrial Complex was designated as a free economic zone. Best Price Guarantee - We always offer you our lowest available DBS Cruise Ferry passenger and car ferries ticket price to and from Donghae. There are no hidden extras or surprises such as added fuel surcharges or booking fees and we also we do not charge you anything extra for paying with a Visa Electron card. The price we quote for your selected Donghae ferry ticket, onboard accommodation and vehicle type is all you will pay, and that's a promise! In the unlikely event you find the same all inclusive Donghae ferry ticket cheaper in the brochure of any other tour operator we promise that we will do our best to beat that price or offer you the choice of requesting a refund. 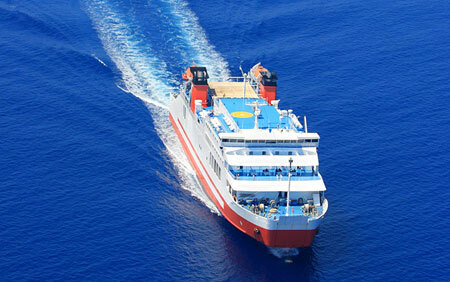 To book Donghae car and passenger ferry tickets please click here. At ferryto.co.uk you are able to obtain live Donghae ferry ticket prices, check availability and book car and passenger ferry tickets to and from Donghae at our lowest available ticket price. Ferryto.co.uk is part of the world's largest online ferry ticket distribution network providing the ability to book over 80 major European ferry operators including to Donghae and to over 1,200 other ferry routes throughout the UK, France, Spain, Ireland, Holland, Eastern Europe, the Mediterranean, the Baltic and North Africa.